^^^^ I reckon that is the best looking TT watch that Rolex produce. Not dreaming of, but I like the look of this newly announced PAM. Available in both 42mm and 44mm cases. Would tend to agree and I'm still waiting for the call from the AD - it will likely be a long wait. The 116621 Yachtmaster runs it close in my opinion as the best TT Rolex. I need to decide if I prefer CHNR over the BLRO. My AD has said a BLRO is roughly 4 year wait but I’d probably be able to get the CHNR sometime in 2020. Quite like these, certainly different looking with the brushed steel dial. The 44mm would be a better option with 300m WR however with the solid end links on the bracelet and knowing how tall the PAM autos are, I think this would wear pretty large. So the 42mm more wearable but "only" 100m WR. Certainly adds a different look and dimension to the range. The first PAM that I ever tried on about 5 years ago had a bracelet and I remember that I was struck by the quality, so that’s partly why I am attracted by these. On the basis that a) on a decent watch 100m WR is more than enough for anyone who at most is a recreational diver and b) the 44mm version would, as you say be rather large, I would also pick the 42mm. Except I am not intending to buy any more expensive watches! 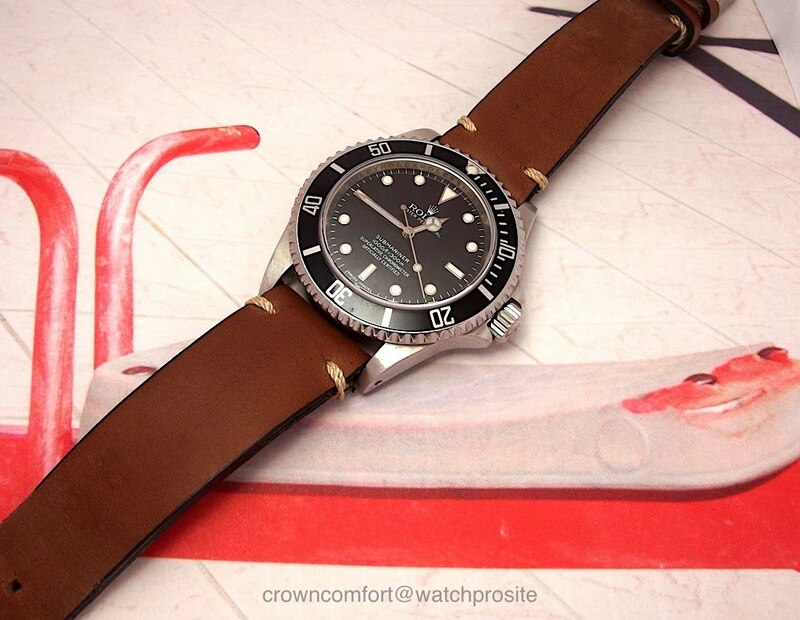 Quite like the 44mm PAM00978; except for a Panerai I still feel that I would prefer a Submersible. Bahnstormer_vRS wrote: Quite like the 44mm PAM00978; except for a Panerai I still feel that I would prefer a Submersible. You would need the 47mm Sub though Guy. The 44s wear quite small due to the large bezel. Very much a pipe dream though. Different day, but same dream. Splendid. Is that the SRPB41J1? 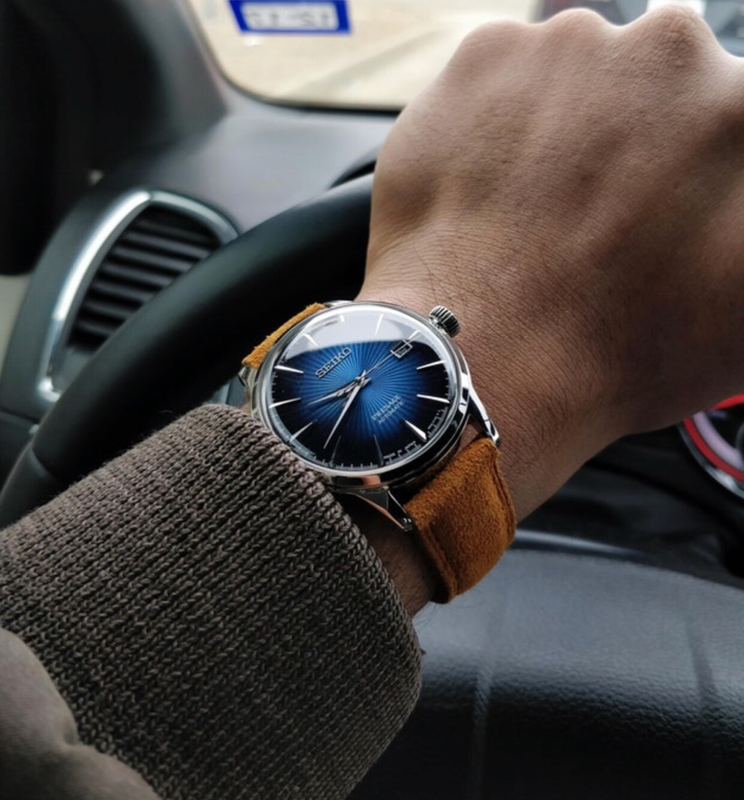 Looks spectacular on the strap (details please! ).